QAMISHLI, Syria — Syrian Kurdish separatists have announced plans to open “representation” offices in several capitals, starting this week with Damascus regime ally Moscow, an official told AFP on Saturday. “The autonomous Syrian Kurdish region will open an office in Moscow on February 10 and is preparing to open another in Berlin, with Washington, Paris and Arab countries coming later,” said Amina Oussi, deputy head of the Hasakeh committee for external relations. 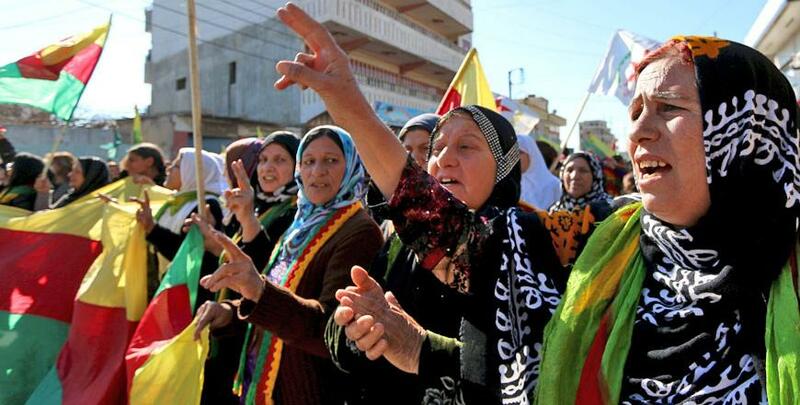 “These representation offices aim to secure recognition for the autonomous Kurdish region” in Syria, she said. In November 2013, Kurdish groups in the northeast of the war-ravaged country announced the establishment of a transitional autonomous administration after making key territorial gains against extremists. The administration is split into three regions: Hasakeh in the east, Kobani in the centre and Afrin in the west. Kurdish separatists are insisting on the creation of a federal system in Syria. Last year, they opened their first such representation office in the autonomous Kurdish region of Iraq. Oussi said several foreign delegations have already visited Kurdish-controlled areas, among them Brett McGurk, US President Barack Obama special envoy for the international coalition fighting the Daesh terror group in Syria and Iraq. He visited Kobani in late January, accompanied by senior French and British officials. A US official said that McGurk’s visit was to take stock of the campaign against Daesh. The Kurdish Democratic Union Party (PYD) was not invited to the Syria peace talks in Geneva which collapsed this week. Damascus ally Russia believed that no negotiations could yield results without it, but Turkey considered its presence unacceptable, given the Kurdish desire for independence. The PYD is a leader in the fight against Daesh in northern Syria but is considered by Ankara to be an offshoot of its archfoe the Kurdistan Workers Party.